Old Testament - We continue to read some incredible prophesies from Zechariah today about Jesus, the Messiah, coming in 500 years! In chapter 10 verse 4 today Zechariah calls Jesus the "cornerstone": "From Judah will come the cornerstone, the tent peg, the bow for battle, and all the rulers." Why do you think Zechariah called Jesus the cornerstone? You'll recall that we read earlier in the year this passage in Matthew chapter 21 verse 42: "Then Jesus asked them, “Didn’t you ever read this in the Scriptures? ‘The stone that the builders rejected has now become the cornerstone. This is the Lord’s doing, and it is wonderful to see.'" 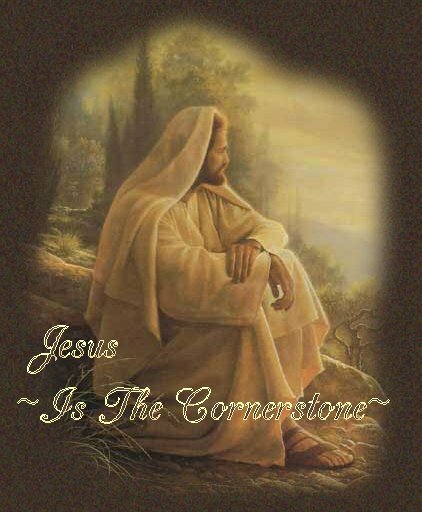 Have you heard Jesus referred to as the cornerstone in our world today? Is Jesus the cornerstone of your church? Is Jesus the cornerstone of your life? 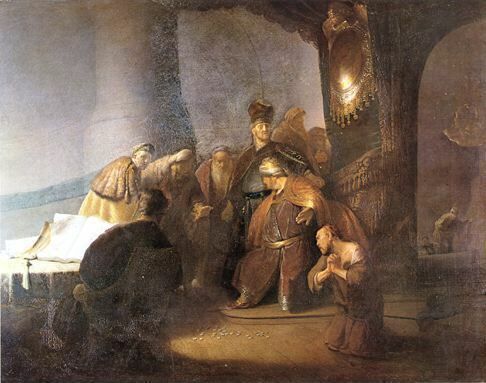 Bible.org's commentary on today's readings in Zechariah titled "Oracle Concerning YHWH’s Sovereignty" is at this link. Since we're nearing the end of the book of Revelation, and in particular because of the questions this chapter 18 can bring up, this is probably a good time for me to re-post this information below about the book of Revelation - same info I posted up when we started Revelation chapter 1 on December 9th. There are basically 4 lines of thinking on how to interpret the book of Revelation, which I think are helpful to consider before diving into this book. I am editing these comments below from bible.org at this link: Please check out this link for more details on these 4 points below and the book of Revelation overall - these comments were edited on bible.org from M. C. Tenney, Interpreting Revelation. 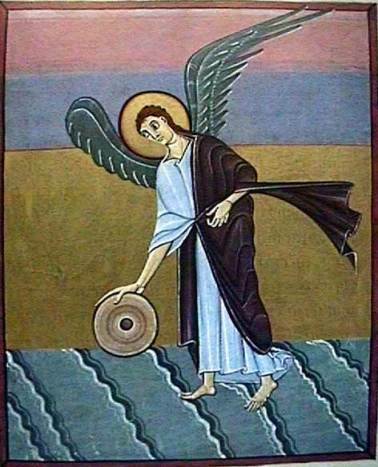 (4) In the idealist approach, “the Revelation represents the eternal conflict of good and evil which persists in every age, although here it may have particular application to the period of the church.”"
Below is art titled "The Angel with the Millstone" - a manuscript illumination from the year 1020 for chapter 18 verse 21 today: "Then a mighty angel picked up a boulder the size of a huge millstone. He threw it into the ocean and shouted, “Just like this, the great city Babylon will be thrown down with violence and will never be found again." Bible.org's commentary on today's readings in Revelation chapter 18 titled "Destruction of Commercial Babylon" is at this link and "Use It or Lose It!" is at this link. Proverbs - Today Proverbs chapter 30 verse 33 teaches us: "As the beating of cream yields butter and striking the nose causes bleeding, so stirring up anger causes quarrels." This is an appropriate Proverb for our Christmas season when we spend so much time with our families, no? :) I shouldn't joke about this I realize - but I think it's appropriate to address this issue. During the holiday season I am afraid that sometimes we bring up old battles or wounds when we spend time with our families - and we risk stirring up anger that causes quarrels. Don't get me wrong - I think it's ultimately better to bring things into the open with our families. That's how healing begins. But let us be careful that we don't just revert to some old "scripts" we have with our families that stirs up anger in ourselves or in them and then causes quarrels. Let us write some new redemptive and loving scripts instead! Do you ever stir up anger that causes quarrels in your family? Do some folks in your family stir up anger that causes quarrels? Will you pray that Jesus will introduce new redemptive and loving "scripts" in your family this holiday season? And will you make sure you no longer cause any stirring up of unnecessary anger? 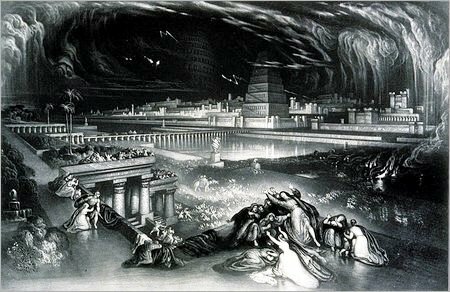 We have had some discussion where I am about the Babylon of the Revelation. And it seems that it could very well have been Rome and its impending burning. It could also be viewed that London once burned soon after becoming the center of the commerce universe right before the Church began to undergo massive reformation in England. It certainly fits the profile of merchants with sailing vessels making their fortunes off of her. I think Babylon goes beyond borders, however. I would argue that she is spiritual and not just bordered around Iraq. Ever since the work of the Law began, to convict us within our hearts of right and wrong, she has worked against it, to try and give us permission to make decisions to transcend right and wrong. She was with Baal in the desert. She was with David on his way to Bathsheba's bed. She taught Israel how to play the harlot on the high places. She was with Judas, who was trying to force Christ to make His kingdom come by betraying Him. She breathed inspiration into the Gnostics. She whispered rage into the ears of the Inquisition and into the ears of the Crusaders. She raises up Hitlers and Stalins as her champions. She champions Hugh Heffner and a thousand other such slime balls who devalue man's help mate. She leads our children on a hundred meaningless tirades on MySpace, on a popularity contest with faceless digital people. She gives them permission to be busy with a thousand poorly performed arts instead of learning the good skills of five well performed arts. Her maddening wine is a vintage we have smelled and partaken of for millenia. And the day that she burns, the day that she is cast into the ocean... many will lose their fortunes. But after she is gone, we will know the powers behind her and the powers that opposed her. And we will see how lovely the latter is and how unstomachable the former has always been. Babylon the great is the spirit that opposes God and leads His people away from the still small voice. "The LORD protects the foreigners among us. He cares for the orphans and widows." a person can tell that the LORD protects and cares for the orphans and widows as he cares for my cousins's widow. Vera had a child 2 years before chris passed away and now I know that God didn't want Vera to be alone, because God knew he was going to take Chris to heaven and Vera needed a companion here on earth to love unconditionaly. His name is Harrison. I believe the language in the graphic for Psalm 146 is Dutch . . . I want to thank God and you, Mike, for this resource and for the encouragement to continue reading God's Word every day! It just struck me that given the photos, the language in the graphic is more likely Afrikaans, the form of Dutch spoken in South Africa. (4) more days then we get to start all over again! To praise and Glorify our Lord and GOD every day thru Prayer & Daily Bible reading. Please give me the Wisdom and a loving Heart that only you... My Lord can bestow upon me!!!! AMEN! The language is indeed Dutch. all who are sick and lonely. For all, who feel so small and unimportant. For those who can't laugh. For those who live under pressure. For those who don't speak nice to others and hurt them. For those who don't sing anymore. Also for those who feel themselves rich. For those who live with hate. to try it one day with You. And to see: You are true and strong. Not all of it I translated, but this gives the idea of what has been written. Proverbs chapter 30 verse 33. I am glad you brought this up. Its not a joke, I thought it only occurred in my family. You must know my family oh so well..I thought I saw us on Jerry Springer the other day..I have two "Drama Queens" that claim they are the only sisters in the world and I am the eldest sister. Yes, they are both younger then me. They depend on their friends more then me. I have prayed that one day they will call me up and say hey come do something with me, or I love you or something. But for 15 years nothing has happened. Do I give up? NO, I gave it to the Lord as of Sunday. Yes, I know I have held on to this for way too long but I thought I could change their mind but I was wrong. Only God can handle this one. I had something happen to me that was an eye opener. I won't tell it here cause it hurt too much, but God will take care of my sisters and will show them the way one day. :) I am sad, but God will take care of this. 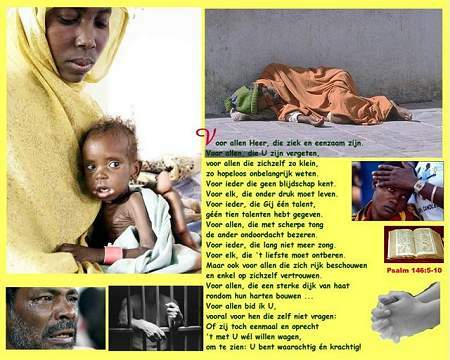 I love todays Psalm, and hey, I just identify the language ... LOL ... it's Dutch!!! My language!!! You knew that ... didn't you? I'm glad God protects foreigners, orphans and widows. See, there's a limit on what we can do as regular citizens. I'm not poor, but I'm not rich either ... what I'm trying to say is that I cannot care for them as much as I wish I could. One thing I do know is that Holland is a good country refering to the social securities. But as far as other countries go ... well ... that's when I'm so happy that The Lord protects them! When I'm in Bali, my heart cries when I see the orphans ... it's so awful! It's undecided yet if my husband and I have another child, but if we do, we are pretty sure to adopt one. Next Summer we'll be taking care of a little girl for 3 weeks. It's a European programm for poor children ... I just can't wait!!!!!! "As the beating of cream yields butter and striking the nose causes bleeding, so stirring up anger causes quarrels." ~ Hmmmmm ... I react in all situations how I want to react. I can't hold in anger or irritations. I have to get it all out in the open. Of course I make sure not to hurt someone, but I cannot keep things in my body. My parents and brother are the exact same way, it's how we were brought up. Sometimes there would be quarrels, but that's fine. At least we would all know how we felt and we could talk about it. My dads family are complicated people, for them I pray, I pray that they will get insights and see the light of Jesus some day. As long as they cannot live in peace together as brothers and sisters (my uncles and aunts), I want to stay away from them. And all I can do is pray for them, wishing them wisdom. And indeed, hoping they will put it all out in the open some day. My dad stays away from them to, from most of them, but it's sad ... it's his family! After reading today's verses in Zechariah 11, it occurred to me that many self-professed Christians are still trying to purchase Jesus' services with the money they throw His way. A check is tossed casually into the offering plate and then demands are made. "God, I need you to do this. God, please hurry up and do that. God, why haven't you done what I asked yet?" Many treat Him as if He is a slave at our beck and call. We order Him around as if He owes us something! We assume that just because we go to church on Sunday and put a little something in the offering plate that He is somehow obligated to perform for us. Granted, we have a right to all of God's promises that were purchased for us at the greatest price ever - the blood of Jesus! However, we are not to act as spoiled, selfish children who say, "Gimme, gimme, gimme!" but expect to give very little ourselves. Instead, we should be willing to give Him our very lives...that's what dying to self and becoming born again is all about! Die and let Jesus live in us! How is that done? By giving and giving and giving and giving. Give not only some of your money, but be willing to give however much God tells you to give! In addition, give your time, talent, and whatever resources you have available. If you will do this with no strings attached, then you can automatically expect - not demand - Him to give back to you pressed down, shaken together, and running over! God does not want us to be His slaves; He wants us to be His servants. There is no greater honor than to serve the King of kings and the Lord of lords! Is He a King in your life, or just a slave expected to jump when you snap your self-righteous fingers? It would be wise to check your heart on that. If you find you have been thowing money His way and then getting upset when He doesn't perform fast enough for you or doesn't do something you want Him to do, then you have major repenting to take care of. The beauty of it though is that when we confess our sin, He is truly just to forgive us of the sin AND to cleanse us of all the unrighteousness associated with that sin. 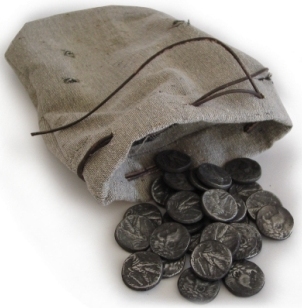 Once you have taken care of that, take back your 30 pieces of silver and ask the King what he would like you to give...then give it with a cheerful heart knowing He will never ask you to give something that will harm you...He only wants to bless you! So...give to the King today! I just received this E-mail from a friend today. I believe that you will find much Godly wisdom from these words. Some good thoughts to help us conclude 2007 and offer hope in 2008. The title of the writing has to do with stress. We have all dealt with this and probably more so during the holidays. hold it, the heavier it becomes." He continued, "And that's the way it is with stress management. If we carry our burdens all the time, sooner or later, as the burden becomes increasingly heavy, we won't be able to carry on. "As with the glass of water, you have to put it down for a while and rest before holding it again. When we're refreshed, we can carry on with the burden". of work down. Don't carry it home. You can pick it up tomorrow. Whatever burdens you're carrying now, let them down for a moment if you can." again, it was probably worth it. I hope that you enjoyed this short little essay as much as I did. I am not sure who it was originally written by. This wisdom is very simply stated and offers much to think about.